This month, 97% natural and vegan friendly haircare brand Noughty turns one and has launched new products! Alongside it’s shampoos and conditioners, Noughty has launched two new hair serums: To The Rescue Anti-Frizz Serum (£8.99) and Rise & Shine Hydrate & Shine Serum (£8.99) which both provide heat protection up to 220 °C. Noughty has also launched the Wave Hello Curl Defining Taming Cream (£6.99) and the To The Rescue Intense Moisture Treatment (£8.99). Available online now. 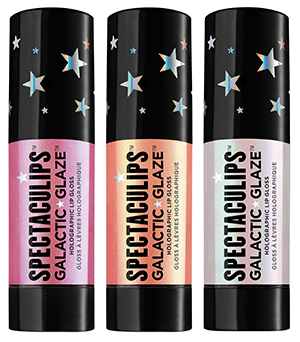 Give your clients an out-of-this-world pout with the Soap & Glory Spectaculips Galactic Glaze Holographic Lip Glosses (£8). 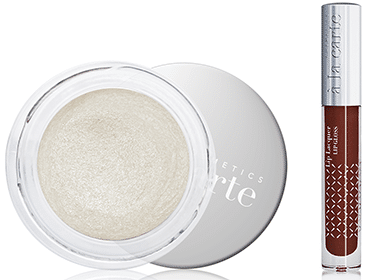 The easy to apply high-shine and light-reflecting formula lasts for up to six hours with a lightweight feel in three gorgeous shades. It can be worn alone or over lipstick for a high impact look. Available now. Create realistic trauma effects on the skin with the Ben Nye FX Primary Palette (£28). 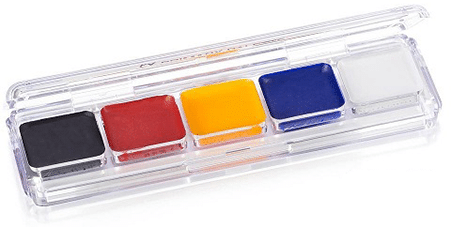 The compact palette contains 5 cells of solid pigment in all the primary colours. 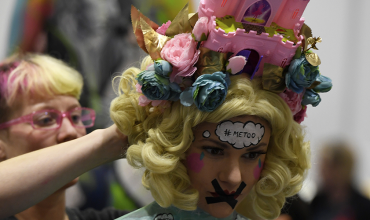 Once activated with alcohol, the palette can be used for colouring skin, hair and pieces in a range of realistic colours that are long-lasting and sweat, water and smudge-proof. Available at Guru Makeup Emporium now. 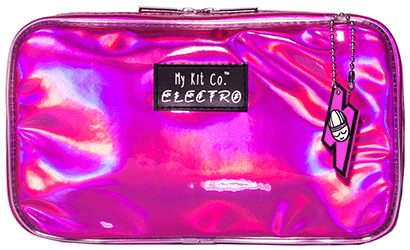 Inspired by the neon lights of the holiday season, My Kit Co has launched the ELECTRO Travel Brush Set (£25). 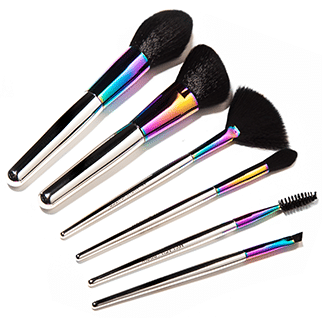 The set contains six soft synthetic brushes with a multi-coloured metallic handle and comes in the hot pink holographic ELECTRO make-up bag. Available online at My Kit Co and Beauty Bay now. Restore and protect your client’s skin with HealGel Intensive (£37.50). The multi-purpose skin rescue gel combines decades of pioneering research and the finest ingredients to create an amazing formula that restores and protects the skin. The light and easily absorbed cooling aqueous gel can be used two to three times a day. Available now from all main stockists. Complete party looks with the Cosmetics à la Carte Mulberry Cream Lip Lacquer (£25) and Cosmos Shimmer Outliner (£28). The Mulberry Cream Lip Lacquer is a sleek, rich berry shade that nourishes the skin whilst giving a high impact shine. The versatile and wearable Shimmer Outliner in Cosmos adds some festive sparkle to the eyelids, whilst the light reflective sheen brightens and lifts the eye area. Available now.